We are able to fully test & repair this throttle body with a Lifetime warranty and no programming required when re-fitting. We remanufacture this type of throttle body using new genuine OEM components and where possible we uprate components to ensure that each and every throttle body rebuild meets & exceeds OE specifications. 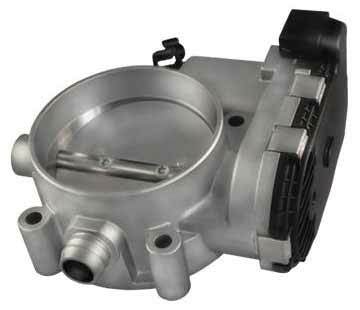 Below is a list of the common failing part numbers we’ve seen for this type of throttle body. If your part number is not listed or you have any questions regarding Mercedes A-Class throttle body problems, then give us a call on 0844 847 9999 and we’ll be happy to assist you. How much does cost to repair this? What’s your cost to replace the throttle body on an A140? How much would be for a A170? I have sent you an email with full information and pricing for the test and rebuild of your Mercedes A170 Throttle Body. Hi, what’s the cost to repair a TB fitted to a 2006 A150?